The first of these is the bonding response between a mother and child, that evolved to ensure our survival in the first moments following birth. The sight of a new born baby triggers the mother’s brain to release a surge of Oxytocin, the effect of which is to elicit a caring response in our mother. Attachment is the next step along the path we take as we learn how to be social creatures in our own right. Attachment is the inherent capability of the human child to form close, reciprocal relationships with members of our family or others in our immediate environment. During the first eighteen months or so of life, we form strong relationships with a few people within our close environment, usually our parents or other close relatives. However, this is not necessarily the case, and if we have a regular carer who is not a family member we can also form a significant attachment with them. The ability to form relationships is innate within the human mind. We are born with brains that seek out attachments as we develop. We form these relationships very early in our life and they provide one of the main ways in which we develop the relationship “operating system” that wil stand us in good stead for the rest of our lives. Unfortunately this system sometimes goes awry – with unfortunate results. The quality of these attachments impacts on the structure, development, and function of the brain. Attachment relationships form at a period of brain development when the right hemisphere is dominant, a part of the brain that helps to establish the meaning of our personal experiences, allowing us to place them in context, and to make judgments about their significance. The Amygdala plays a significant role in the quality of our attachment. This part of the brain plays a major role in our survival, by giving emotional salience to events and triggering our fight or flight response to perceived threats. It gives emotional significance to the events in our lives, this also includes facial expression, tone of voice etc. If our needs are met in a timely way, no sense of danger or threat becomes attached to what has happened. If our needs are not met in time, we end up in a state of increased emotional arousal, and then, a physiological response to danger, driven by the amygdala, kicks in, and the events will trigger higher levels of threat and danger than are really necessary. This can have enduring consequences for how we respond when we are exposed to similar situations in the future. If our carers respond too quickly, we have no chance to learn to tolerate distress, the result is that in later life comparatively minor negative events trigger major emotional responses. We come to have a high resting level of arousal in response to normal daily life – a state which we call anxiety. Anxiety affects the whole body, generating high levels of stress response with the associated long term effects for both our physical and mental health. The Amygdala also responds to events in our inner world, so thoughts or emotions can also be interpreted as dangerous and trigger our stress response. Attachment relationships are not a one way street. From birth, our emotional state forms a major part of the communication we have with others. When we are infants this is even more the case. We cry to signify many forms of distress, and most parents can distinguish several different cries indicating different reasons for our distress. Our reactions and behaviours in response to events signify that these events are personally significant. My nappy needs changing! I am hungry! Where the hell are you? This helps us develop emotional interactions with our care givers. If you have ever seen film of mothers with new born children, you can see a two way conversation developing. A mirroring of the behaviour of one seen in the response of the other. A bit like a game of relationship tennis, each takes it in turn to imitate the other. Facial expressions, tone of voice, gurgles, laughter and so on all form part of the conversation. If we are to be abel to maintain healthy, secure relationships throughout our lives we need “good enough” care while we develop. This reciprocal play is part of the way we learn language, how to communicate, to tolerate our emotional states, and how to have relationships. Children need space to fall over and skin their knees, but not so much that they can fracture their skull. The attachment relationship acts like the base code for human interactions. Healthy attachment, in which we feel secure, means that we can safely go out to explore the world around us without needing to be looked after. What John Bowlby referred to as “A secure base.” Too close a relationship, where our carers’ responses could be seen as intrusive, does not allow time for the child to accomodate to the changing situation. This results in an insecure attachment dynamic, and children who struggle to explore the world, or to have faith in their own abilities. Children need space to fall over and skin their knees, but not so much that they fracture their skulls. One of the major positive effects of healthy attachments is that they allow us to learn emotional self regulation, that is the ability to first tolerate our emotional responses without being overwhelmed, and then to react appropriately to them. We learn this through constant, daily, hour by hour repetition. When we are hungry, it feels uncomfortable, so we cry. When our parents respond to our distress in a timely fashion – taking Goldilocks’ rule to heart – we learn that we are can tolerate negative emotional states without coming to harm, that they don’t last forever, and that they can be controlled. As we learn to do this we are able to tolerate even greater degrees of distress, knowing that our needs will be reliably met. Part of the brilliance of these attachment relationships is that they gradually become internalised, we become able to self sooth, without needing an intermediary to do it for us. We set up positive pathways within the brain. Early attachment style persists in up to three quarters of adults. Some of this is create by what are called mirror neurons. These are cells in the brain that fire without causing an external response. When we see someone else practicing a skill our brain fires off cells in the same part of the brain as if we were the one who was performing the activity. The same process is at play when we see an athlete mentally rehearsing their performance prior to the event. Visualisation of a behaviour leads to it becoming more likely. When our parent, or other care giver, are able to manage our distress without becoming overwhelmed, we internalise this skill and it becomes part of our own repertoire of behaviours. Exposure to other humans helps us to produce our personal blueprint for our later lives. We learn our language and culture through daily exposure to “how we do things around here”, and this includes our ability to relate to others. If our development is allowed to progress in a “good enough” way we learn good enough skills. If we are exposed to abnormal experiences in our relationships we develop a blueprint that is designed with such relationships in mind. One secure attachment relationship that allows our needs for social learning to be met, and reliably teaches us sensible limits and exposes us to positive social abilities, can be protective against many poor attachment relationships. Secure attachment leaves us set up for a happier life. We are more likely to feel secure about ourselves, to feel worthy of affection and care from others, and to form relationships with relative ease. We will be more comfortable with, and able to enjoy close relationships, and to expect our partners to be emotionally available and supportive when times are hard. We will have higher self worth, be more resilient, show greater levels of optimism and tend to have greater intellectually curiosity. Disagreements and arguments are less likely to lead to frustration or feelings of rejection. Because our brain pathways have been wired in such a way as to tolerate such distress they do not trigger an unhelpful negative response. Insecure attachments are associated with increased levels of anxiety and depression in adult life. However, not all is doom and gloom. Our brains remain plastic, and are able to change and develop throughout our lives. This means that any of the pathways or systems that developed during our childhood, can be modified in later life. To some extent this requires that we retrain our brain. A matter of teaching an old dog new tricks. Not surprisingly it can be difficult to start this process, although once started it is easier to make progress than we might expect. We can change our brains’ expectations by exposing ourselves to novel social situations. Insecure attachment makes this seem difficult at yhe start because it can leave us defensive and mistrustful of people. The accompanying low self esteem and a tendency towards pessimism can make it hard to start this process. Exposing ourselves to new situations can feel dangerous. This is one place where our mirror neurons come to the rescue. A technique known as priming, has been used successfully to reduce distrust between social groupings. One example would be Arab and Israeli students in Israel who were helped to become more trusting of each other through a process of associating positive images with a sense of security before the groups started to interact. Exposing ourselves to new situations can feel quite dangerous. If we take time to visualise ourselves interacting successfully with other people this makes it easier to do so in the flesh. We can do this by associating images and thoughts about other people with words that have positive connotations with caregiving and attachment. As we do this we become more compassionate, both towards ourselves and towards others, and tend to feel less distress in social situations with a greater feeling of selflessness. Like any new skill it takes practice to gain a degree of proficiency. Fortunately it only takes about 20 hours of practice to get to the stage where we are comfortable in our ability to enjoy a new skill. It takes about 10,000 hours to become a leading world expert in any field, and this goes some way towards explaining some of the unhelpful survival skills we learnt so proficiently during our early development can be so hard to change. It takes persistence, and continued practice to bring about change. The good news is that it gets easier the more that we are able to do it. Gradual, controlled exposure to novel situations, or those that we believe we will find difficult, enables us to become more social and less anxious in the company of others. Attachment is a system designed to help us in the social environment. When it goes awry, it makes it very hard for us to be part of a community. As social beings, community is a vital part of our safety net. If our brain is telling us that being a social creature is dangerous, then we are likely to avoid other people. If we do so, many of the pathways in our brain that cause us to feel safe and secure tend to become weakened through disuse, and this makes it even harder to join in with our community. 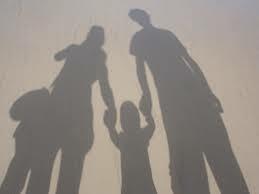 Attachment difficulties mean that we are left with a sense that the very things that should contribute to our sense of safety, belonging, and happiness – the very things that should make us feel safe and secure, and allow us to live a fulfilling life – are in fact threatening. A slow, step-by-step process of exposing ourselves to greater degrees of socialisation and intimacy, can help to reduce the impact of these early experiences on our current lives. Overcoming this sense of disconnect between our various survival mechanisms and everday living, is a skill that we can improve with practice.